From the beginning we felt BCN could be a viable learning tool for sharing free information. Today, BeadCollector.net is now a teenager. The site has been a communications platform for bead researchers, historians, artists, collectors, hobbyists and enthusiasts officially on line May 2, 2002 and in use since Autumn 2003. A lot has changed on the internet in the last 13 yrs. BCN is trying to maintain it’s original roots. We are not a commercial site used for data and info gathering for commercial purposes, unlike bigger sites that spam you with ads and sell your browsing history to commercial entities. BCN has opened many doors to “beaducation” and to the on-line social aspect of bead collecting. The site has connected people all over the world with common interests. It has given us all a way to share and learn about beads of nearly every type. The archive is searchable back to February 2005. The very first year and a half is currently not on line, but is saved. We pre-date “blogs” and Facebook. Though our software could be considered “antiquated”, it is still the only discussion board software that maintains continuity of discussions, which is the very reason that we chose it. Because the software originated in the early years of the internet, image posting still requires that users edit their own images to <186k. BeadCollector.net is a volunteer site, built and maintained by us, and made wonderful by you. 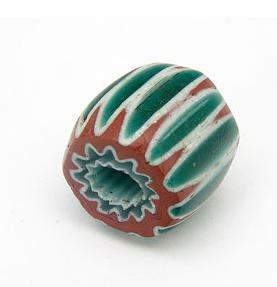 Many, many thanks to you all for making this the interesting and fun bead site that it is!